Kobo - Which Formats Does This Latest e-reader Support? In this new age of technological developments, whenever a person mentions e-books, the first thought that comes to your mind is that what kind of an e-reader is the person using to read the e-book. Also, if they have all sorts of e-books and texts to read, then which e-reader should they purchase that would be suitable for the file formats that are available to them. With many questions all around, today, there is more than one brand of e-readers available in the market. Kobo is one such favourite e-reader just like the Amazon Kindle and Barnes and Noble e-readers. Kobo, unlike the others, reaches out an extra mile and directly sell the tablets, computers, and e-books. Kobo reader is a name which intrigues most people around the world. However, it has a very simple explanation. If you look at it carefully, you can easily say that Kobo is just an anagram of the word ‘book.’ Kobo has its headquarters in Toronto and is actively distributes e-books and consumer electronics in the market. As with the e-readers, Kobo has its very own range and also provides the users with an opportunity to purchase the e-books directly from them that would seem compatible with the devices that they have in the market. 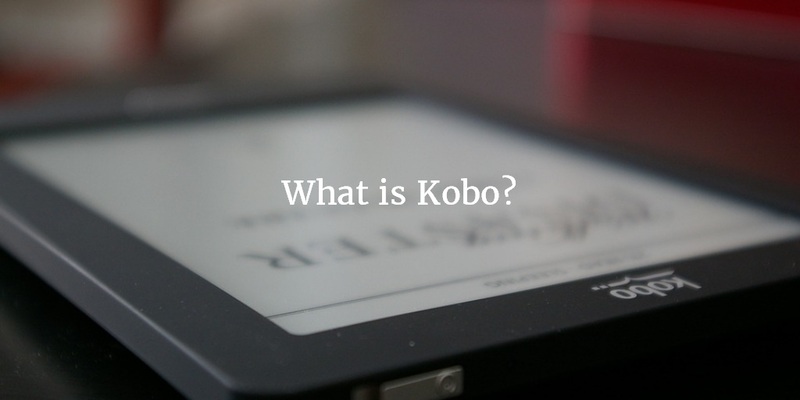 Kobo has four major categories of products to its name. Apart from the existing devices at Kobo, their e-readers are in high demand around the world, almost on par with the Amazon’s very own Kindle e-reader. Kobo’s store allows you to download the e-books from the collections that are available. Also, The publishing part of Kobo allows the publishers to keep track of their books’ sales and hence helps you to reach out to a wider reader base around the world. Each of the e-readers from Kobo has its very own exciting features to go by. What makes the devices worth a buy is that these come in a wider price range. This makes it easy for you to purchase the reader because of its affordability. Kobo has e-readers that fall on both the cheaper side as well as, the higher end side. Whatever the range maybe, the e-readers have the best features to offer. In addition to this, there are a few Kobo formats which the e-readers support. Moreover, they also support a broad range of file formats, enabling the person to use the e-reader according to their wish. Most of the Kobo e-readers are available for sale either online or at electronic retail stores that are available around the world. Presently, Kobo’s biggest competitor is Amazon Kindle. The devices from Kobo have different features that come handy when a reader needs to use it as an e-reader to read the e-books. The function varies with the devices. Kobo Touch: This is the 3rd generation e-reader from Kobo which the company brought out in the year 2011. If we compare Kobo Touch to the predecessors, there has been an improvement in features for Kobo Touch. This device is based on the Linux kernel and has three major variants along with eight major languages. The three variants of Kobo include N905, N905B, and N905C. Kobo Glo: This is the 4th generation e-reader from Kobo and was brought out in the year 2012. The screen light is the bit less intrusive than the LCD but very useful when the person has to use the device under dim lighting. The screen can adapt itself to the surrounding light and glow automatically. Kobo Mini: This is a little e-reader from Kobo. This was released in the year 2012. This device was an answer to people wanting e-readers that fit right into their pockets. This device has an E Ink screen which adjusts itself according to the surrounding lights. Kobo Aura: This is the 5th generation e-reader from Kobo, released in the year 2013. It has its very own two variants, Kobo Aura HD for high-resolution requirements and Kobo Aura H2O, which is a waterproof model. This particular device falls onto the most top end of the e-reader variants from Kobo. In the case of images either in the text or as separate files, KOBO supports JPEG, BMP, PNG, TIFF and GIF formats. For regular texts, like in the newsletters, RTF, HTML and TXT files. When it comes to the comic books and magazines, Kobo e-readers support CBR and CBZ. Are you looking for eBook Conversion Services? Do you know what is epub? You can see that Kobo readers support one major Kobo format which is ePub. Some people refer to this format as e-Book. However, there are a few differences that set them apart from each other. ePub is a file format that comes with an extension .epub when you save the file into the system. This is an open standard file format freely accessible on any devices, including smartphones, tablets, and e-readers. ePub stands for electronic publishing and is the most common file format that is available on the market. This ePub is now the largest vendor-independent XML-based e-book format in the market. Most hardware readers presently support ePub format. We can see that the development in technology within e-readers and ebooks are changing everything. Even the file formats are undergoing a series of changes to be compatible. Also, it is imperative that these files change themselves for getting compatible by the e-readers currently in the market. 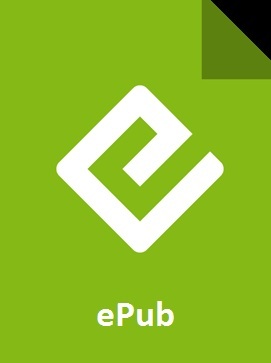 ePub gained its official standing in the market in the year 2007. Later on, software readers like iOS, iBook and Google Books on Android went on to use it. Though iBook uses ePub file format, it gets the base code for the function from the iBook app from the store. After coming a long way right from its beginning, in the year 2014, the ePub 3.0 came out, and along with this, it paved the way for the entry of new features into the file format. This latest version of ePub, ePub3.0 has an option of special formatting and correct layout when it comes to accessing the comic books and the MathML support. As the comic books that you wish to read on these devices have better quality in this format, ePub 3.0 is most useful on these devices. Though the Kobo e-reader seems to be supporting a broad range of Kobo formats, ePub and PDF stands out from the rest. Regarding features and the user compatibility, PDF and ePub file formats have the edge over the other formats that are currently available. These Kobo formats are very much useful when you have to access a large document or a text file like a newsletter. In this case, both the ePub and the PDF file formats offer a better usability for you and navigating through the files also becomes easy after a point of time. ePub has an excellent feature that protects your files from other third party sites that might ruin the structure of the archive. ePub uses Digital Rights Management or DRM to protect its content. However, installing DRM is just optional. The readers may use especially when they have the files in the ePub format. Files that come along with this DRM system usually have an ACSM file extension. This way, your book is protected from third party illegal downloads. Libraries, publishers, and authors mostly use this safety protocol to secure the books that are available on the e-reader. Kobo mostly accepts files that are not under DRM protection. In case the existing book comes with the DRM protection, you have to use the ADE, Adobe Digital Editions software to get the book onto the e-reader device. Furthermore, the tech experts advise you to make sure that the e-books that you download be in any one of the ePub formats when you wish to upload it onto your Kobo e-readers. Most readers need DRM-free files for viewing and processing. However, if the eReader already has ADE, it can very well access the file. Therefore, you can easily say that eReaders worldwide prefer ePub format more highly than anything else. The MOBI file format was developed for the use of the mobile phones, PDAs, and the desktop operating systems. As for the e-readers, MOBI file format is supported by Kindle while not that much by the Kobo devices. Kobo mainly has the ePub and PDF formats, and you have to convert other file formats to either PDF or ePub. Each MOBI file comes with an extension .mobi within this MOBI file format are stored in a place, Mobipocket. This provides you with a secure reading system. As for the Kobo devices are concerned, experts state that you must convert the .mobi format into the .epub or the .pdf format before you use it on your Kobo e-readers. If you choose not to follow such methods, you will find it difficult to access the files on the device. Though Kobo might slightly be compatible with MOBI, it is better for you to go in for a conversion of the file format if a higher resolution text is required for reading on the device. Kobo e-readers have made it possible for the readers like you to reach out and get your hands on these e-readers that you have always dreamt of having. With so much to offer, Kobo is on its path to becoming the best range of e-readers in the market. Consequently, the e-books that you purchase from their store offers a wide range when it comes to book titles. Therefore, as a result, you can never miss out on the opportunity of reading the book you have always wanted.